Most digital services are built around similar patterns of customer engagement, such as motivating, guiding, understanding and prediction. The relevance of these patterns to the customer will depend on how well we understand our customers’ needs and behaviors. And these engagements create lots of valuable data! The more we listen to the customer and the better we understand the data that we have, the easier it is to design an interface and decide on the right and relevant responses to delight the customer in any situation. Digital services involve employees across departments, since most of our processes and data are tied into the customer relationship. This affects how we work and collaborate in cross-functional teams, and possibly in the whole ecosystem — and has the benefit of avoiding silos. By following the customer journey across different departments we gain insights and understand where to create value — what are the easy wins from a customer perspective? Ultimately, digitalization is about creating value for the customer: for each point you get from the customer, you need to give two back. When it comes to architecture and solution design we see the customer profile as the foundation — for most companies, this involves integrations between systems and the gathering of relevant data to a scalable and flexible platform enabling customer engagement. To meet customer expectations, the platform should not only provide the right data to the right people at the right time — regardless of the channel — but also have the ability to be proactive (e.g. journeys) and predictive (e.g. artificial intelligence). ​Connecting the data from several backend applications to the processes is a challenge in itself, and therefore ‘thinking big but starting small’ might be the best way forward. With regulations such as the GDPR (General Data Protection Regulation), the legislation and responsibilities need to be considered. 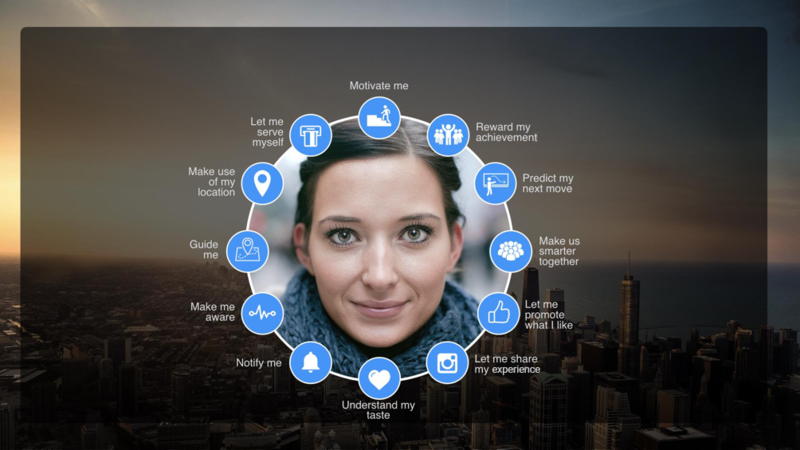 Technology platforms such as Salesforce scale from the early prototype to the final end result. 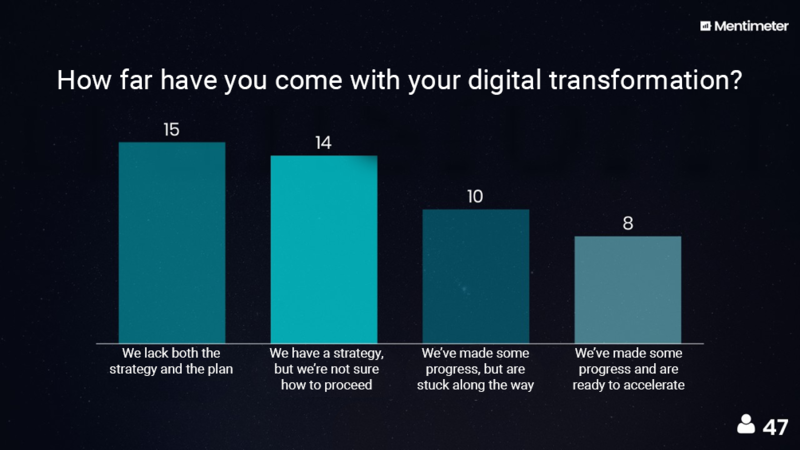 In a recent seminar we asked the audience where they were on their digital transformation journey. This is a small sample, but it reflects reality quite well based on our conversations with Fluido customers. This is a great opportunity for us all: Inspired by this, we have created a series of workshops together with our partner Next State Labs in Stockholm to help companies take the right steps and succeed in their digital transformation journey. 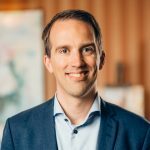 Fluido is a Nordic advisor and consulting house specialising on delivering outstanding and personalised customer experiences across channels and devices on Salesforce technology. Learn more at fluidogroup.com. Project management in a global environment - Tobias M.